Three days to go until OBANLIVE2018! There are only three days to go until thousands head to Oban Live, the biggest open-air live music concert in Argyll. The two-day event kicks off at Mossfield Stadium on June 8 and 9 in Oban. The site build officially commences today, starting with one of the biggest jobs which sees contractors from Glasgow installing high-end, concert-stadium pitch cover that will protect the famous shinty ground. Entertaining thousands with a mix of Scots ‘Trad”, pop and rock music, the complete 2018 line-up was confirmed last night and includes a stream of incredible acts including Skerryvore, Skipinnish, Tide Lines, Peatbog Faeries, Hermitage Green and many more. Popular Irish folk duo Hudson Taylor have pulled out of this year’s Oban Live, Argyll’s biggest live music event, due to family circumstances. 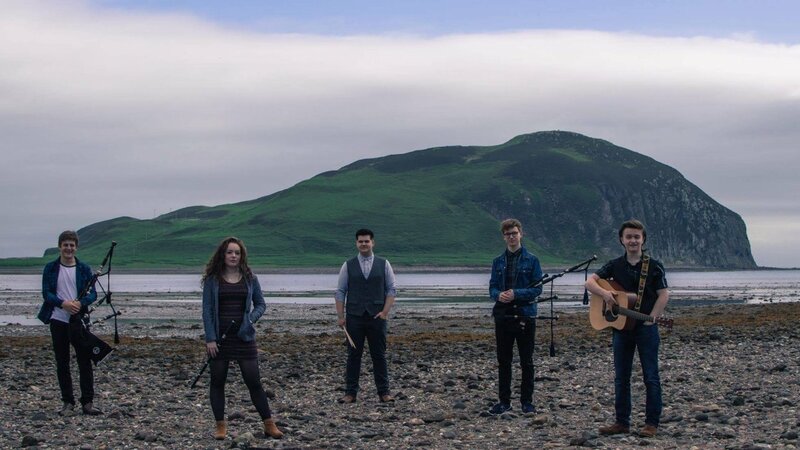 The event team confirmed on social media last night that Argyll folk based band Rhuvaal will take their place and will open the show on Saturday June 9 at 4.30pm. Hailing from Argyll, Rhuvaal are a traditional band consisting of five members. Having built up a solid following in Kintyre & Lorn, the band are now enjoying performing in many different venues and exploring their sound and music throughout Scotland. Playing modern traditional music with a variety of instruments and songs, Rhuvaal has been described as a band to look out for in the future. Tickets are still available at www.obanlive.com. Limited VIP tickets are left and Oban Live camping tickets, in association with West Coast Motors and Oban Caravan and Camping Park, are selling out fast.